Published by Whitechapel Gallery and MIT Press. 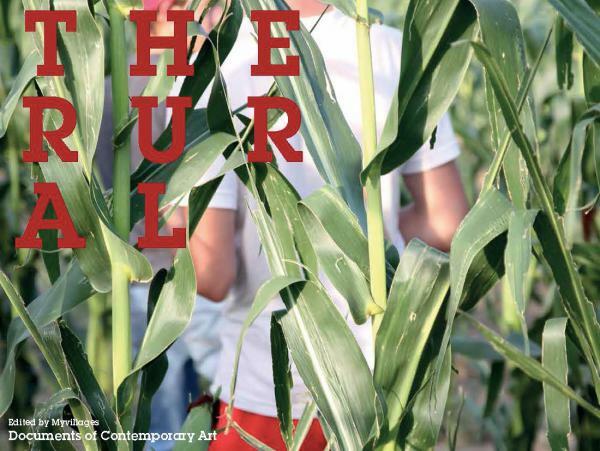 This book looks at the rural as an identifiable particularity without being definable. The rural is a multitude and it is dynamic, it can be attached or detached from a geography, it can be a mindset, a certain practice or a shared identity. It is a common term without being precise. The rural and the urban are interdependent, and the current dichotomy has always been false but was maintained because power could be gained from playing down and denying the actual relationship between city and countryside. The editing process of this book stems from our own practice as Myvillages, from working as artists in the rural while raising questions about art in general. We are passionate about questioning the cultural dominance of the urban and advocate making space and time to understand the rural as a place of contemporary culture. Writers include Homi K. Bhabha, Okwui Enwezor, Hal Foster, Freeyad Ibrahim, Julia Kristeva, Henri Lefebvre, Marco Marcon, Georgy Nikich, Hans Ulrich Obrist, Paul O'Neill, Mike Pearson, Doina Petrescu, Tomasz Rakowski, Natalie Robertson, Marco Scotini, Vandana Shiva, Monika Szewczyk, David Teh, Colin Ward, Grit Weber, Stephen Wright. For orders and distribution click here.